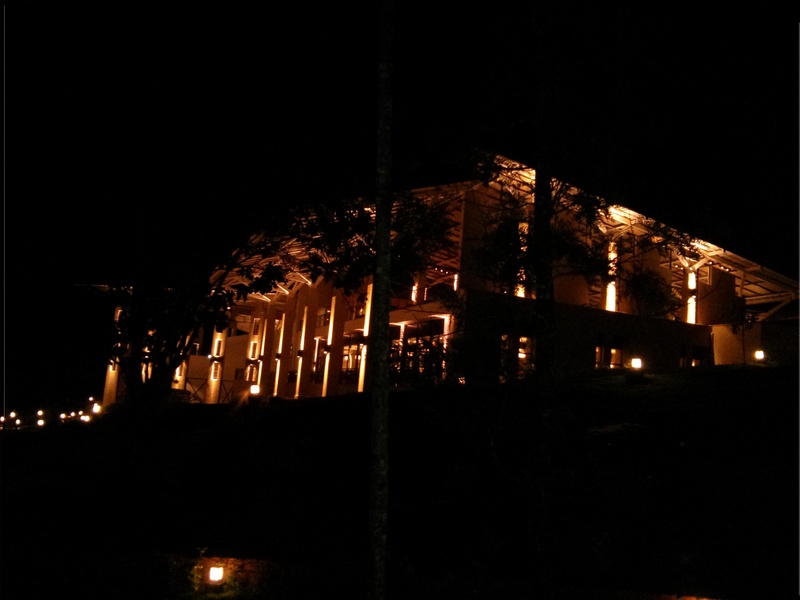 A few weeks back, we managed to get the old gang together and booked a few rooms at the newly opened Club Mahindra Resort at Virajpet in Coorg. 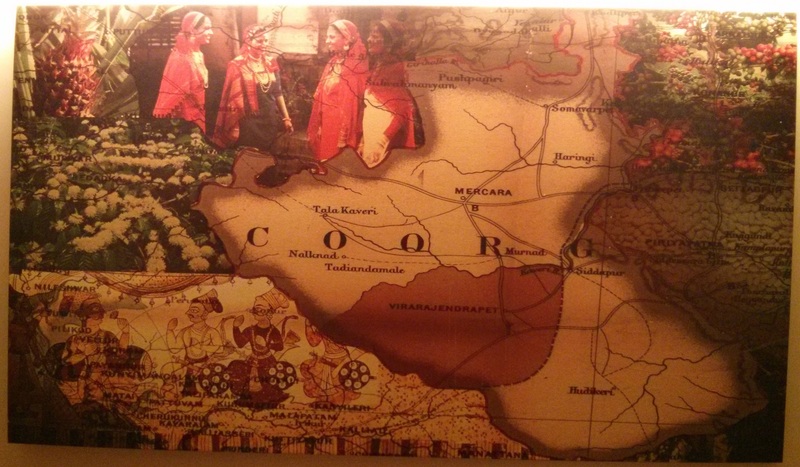 Coorg is one of the most visited tourist destinations in South India for its thick vegetation, natural beauty and rich coffee estates. 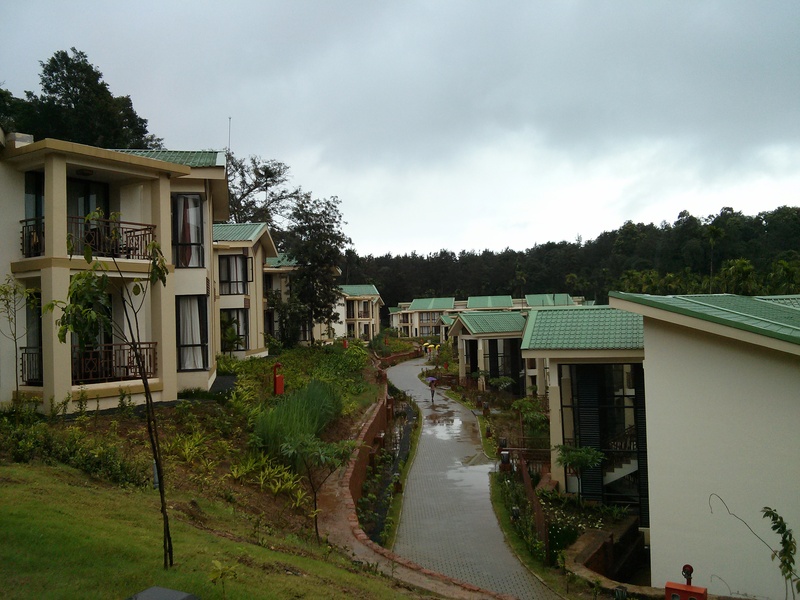 Club Mahindra members get preference but non-members can book this resort too. This swank new property is located about 15 kms outside the town of Virajpet surrounded by coffee estates and perched on hill at an incline. 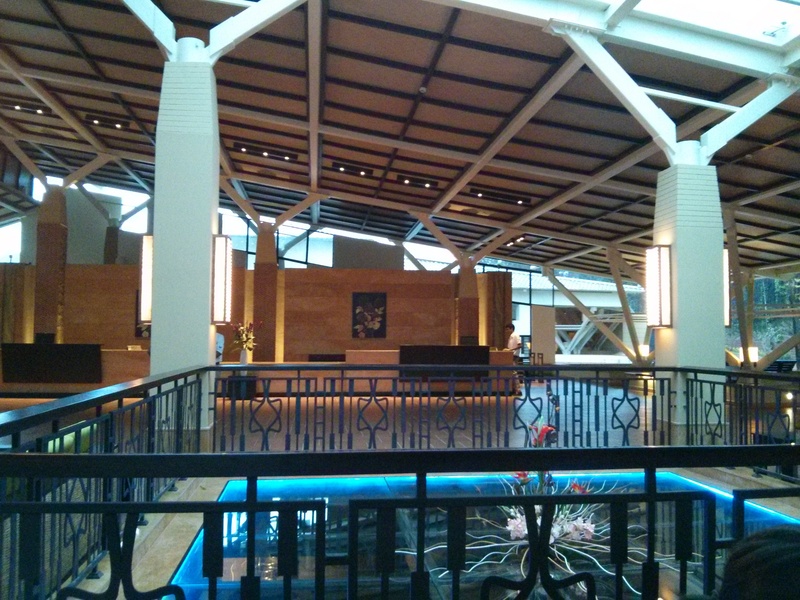 The lobby is located right at the top to give you a 180 degree view of the valley. With constant rains and two infants traveling with us, we managed to reach the property at around 5pm which is about 275kms from Bangalore. That was a good 9 hour drive from Bangalore which would ideally take 6 hours. Patches of the road are in bad shape once you take the detour from the Mysore – Madikeri highway but manageable. The property however was a sight for sore eyes and is very well laid out with cottages and studio apartments tucked away on one side. We got lucky to be housed in the first cottage complex which meant minimum walking distance to the restaurant and entertainment centre. Yes, they have a fully furnished entertainment centre to engage both the young and the old with games like carom, table tennis, chess, air hockey along with special shows for kids during weekends. The most important part of our holiday is food and clean accommodation and this place lives up to its reputation. 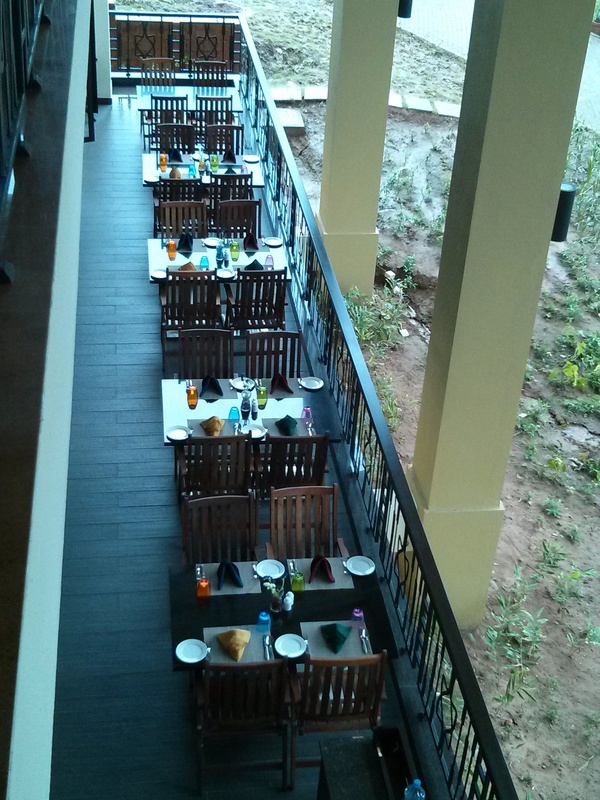 All meals are buffet styled with the entire food package (breakfast, lunch and dinner) working out to about Rs 1200 – 1300 which is decent considering the huge spread they offer. We also loved their dedicated kids section where special food is offered to children in colorful cutlery. A la carte options are also available if you do not believe in buffets. 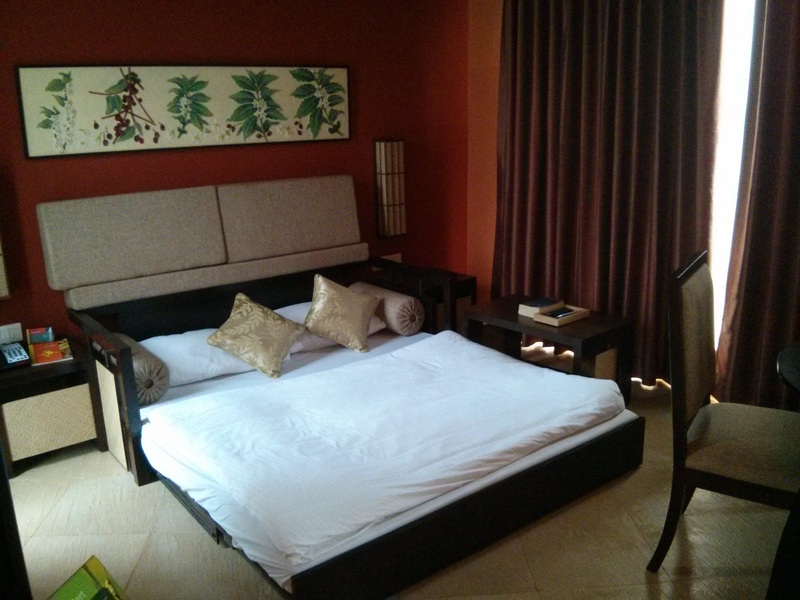 You can book online via Makemytrip or booking.com but do plan in advance as there is heavy demand during weekends.